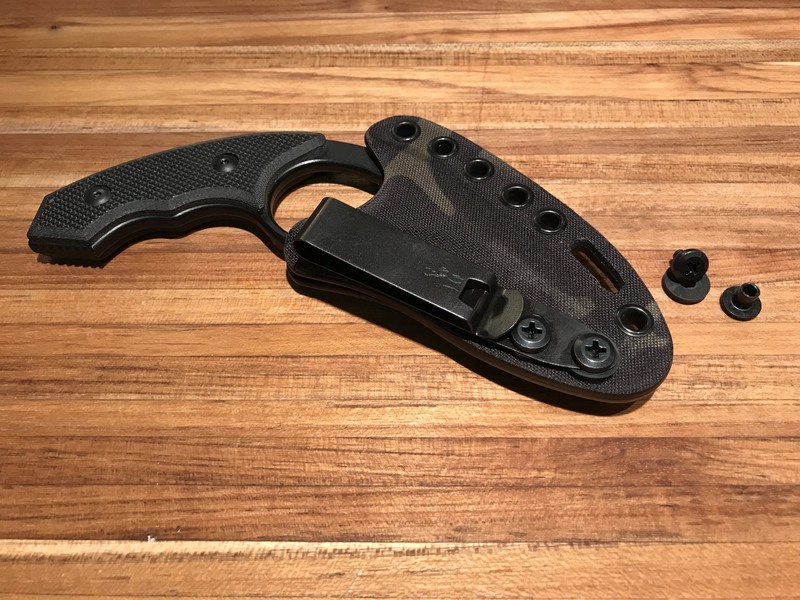 The HLR (High Level Retention) clips from Discreet Carry Concepts are an easy add on to most any holster or sheath with standard hole spacing (SHS). The heat treated spring steel with cloth grabbing backing bites onto clothing and belts better than any polymer alternatives. Fits over belts up to 1.75" including thicker riggers belts. .205" round hole and horizontal slot spaced at .600" to fit popular holsters. 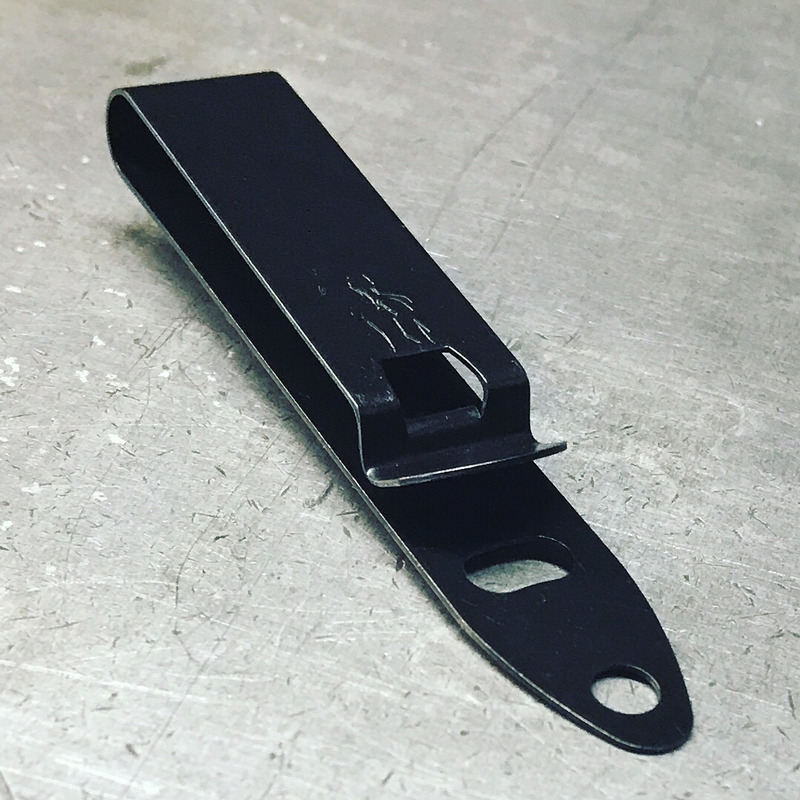 Horizontal slot allows clip to be mounted on an angle. Please keep in mind that these clips do have the potential to rust (like any other blued finish) so wiping them down with a wax or oil every few months doesn't hurt. Choose from the Mod 4 clip alone, a clip with single mounting screw & post (1/4"), or the clip with two mounting screws and posts. 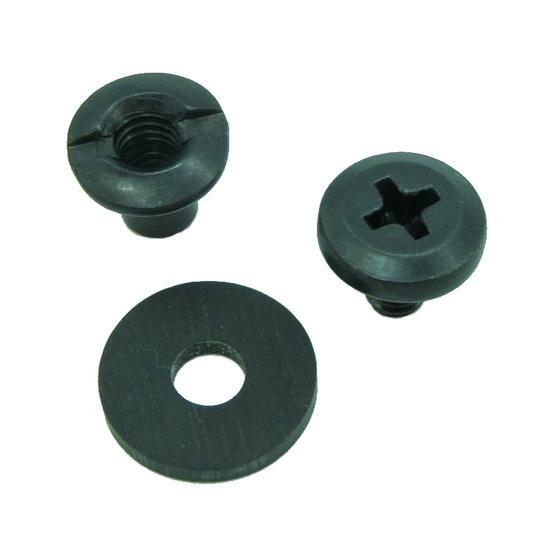 Our hardware is flat backed, black oxide finished, 8-32 threaded, 1/4" long, and made in the USA.